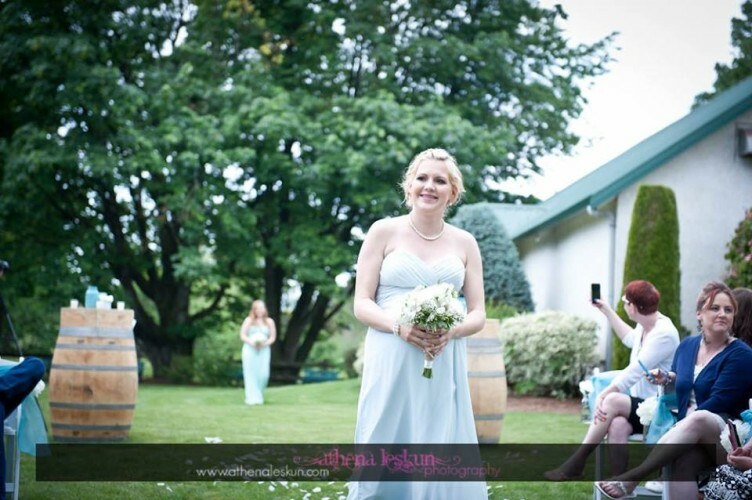 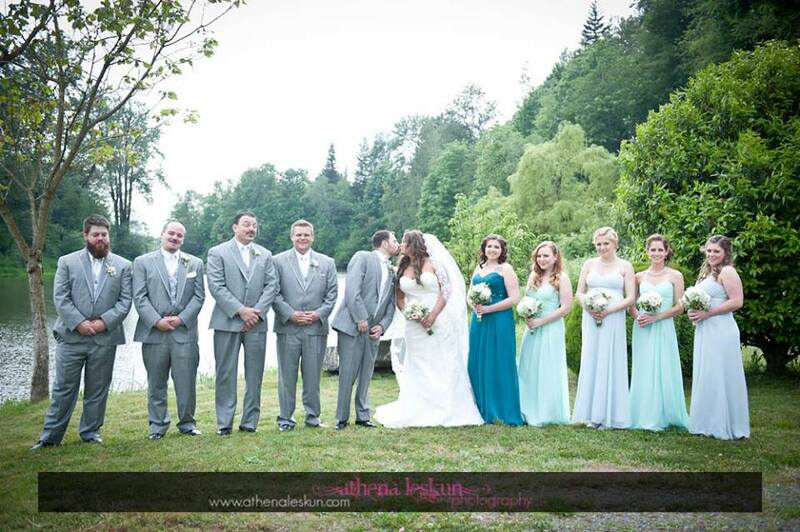 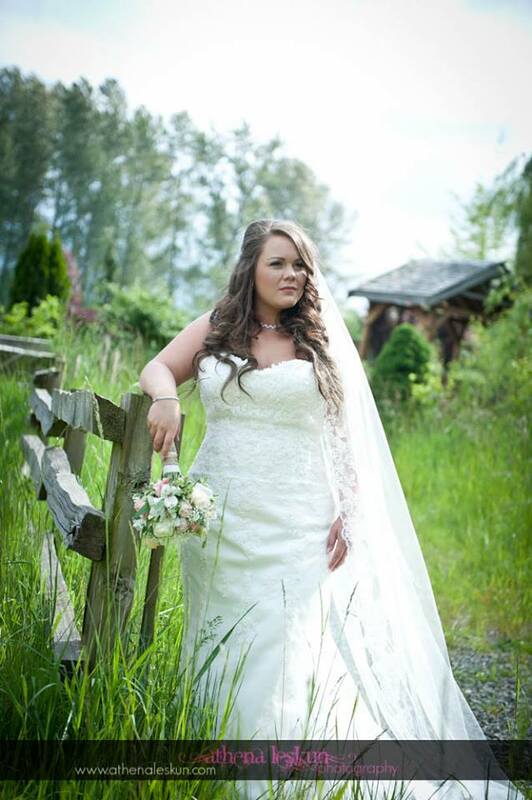 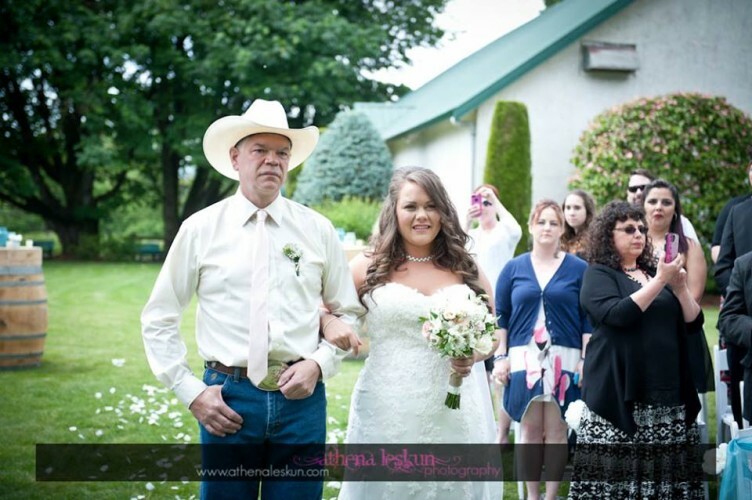 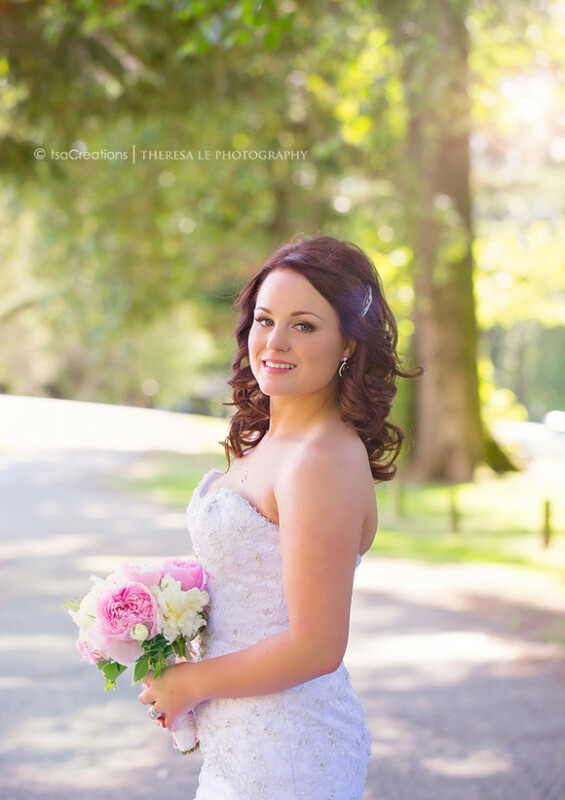 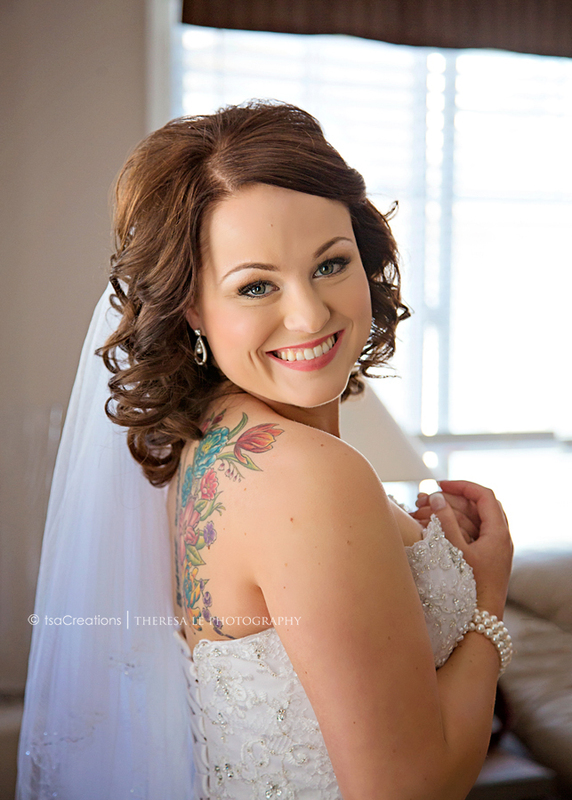 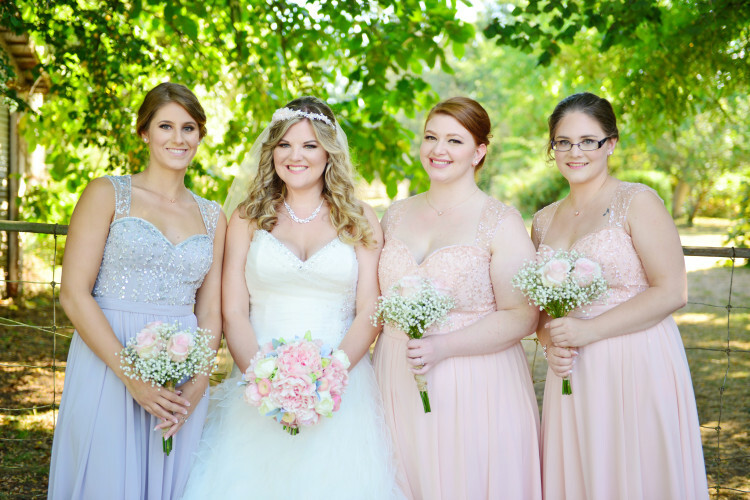 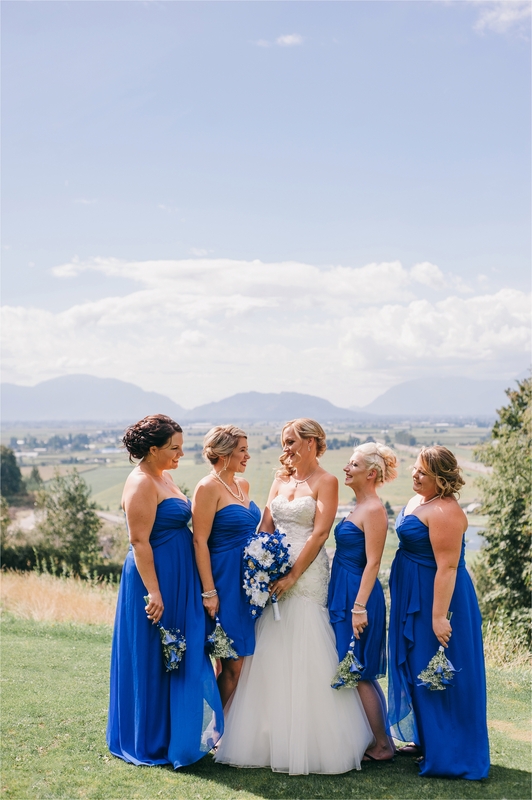 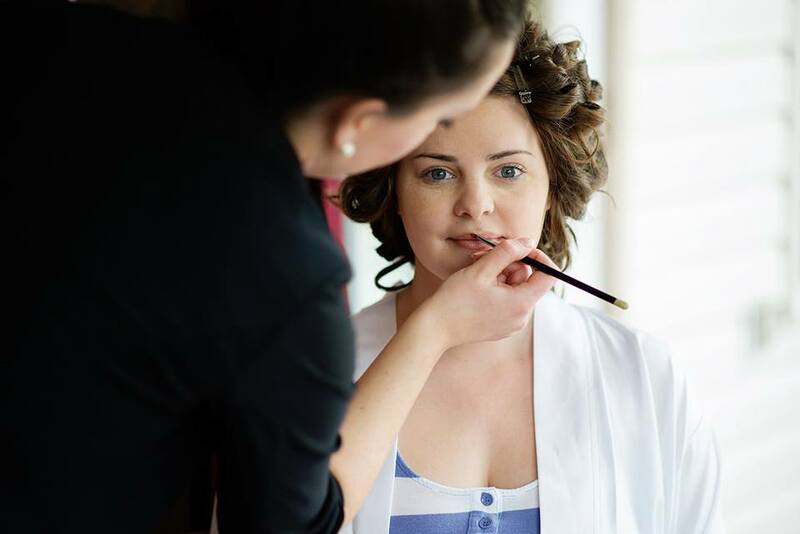 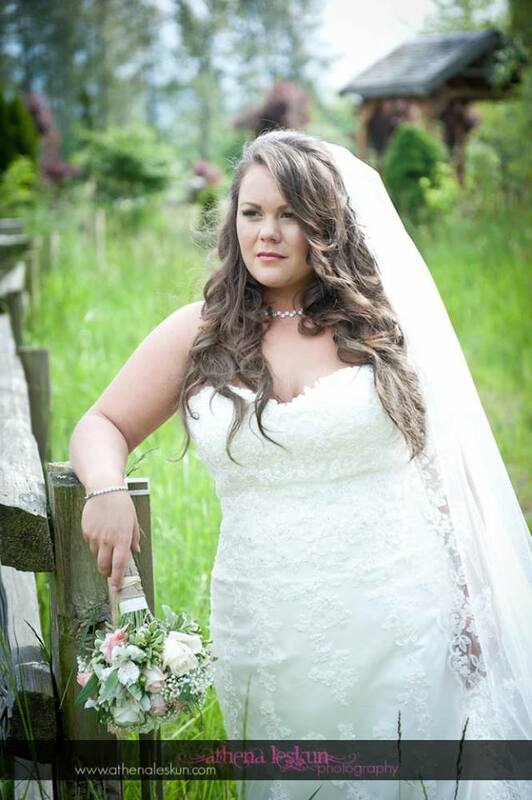 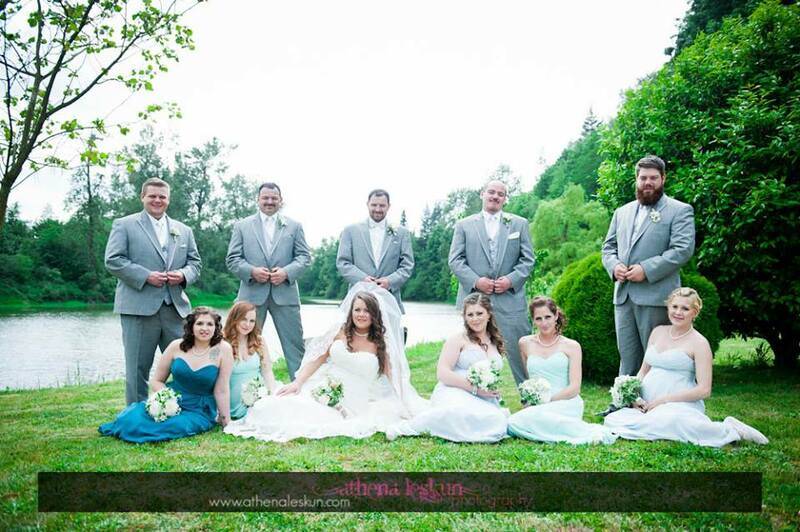 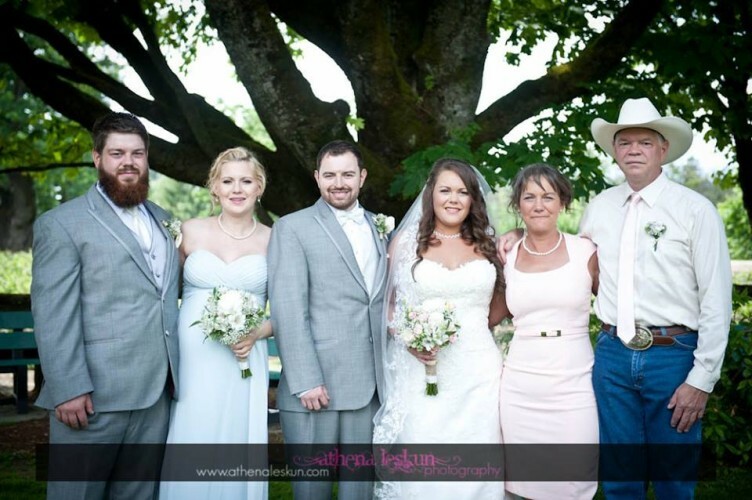 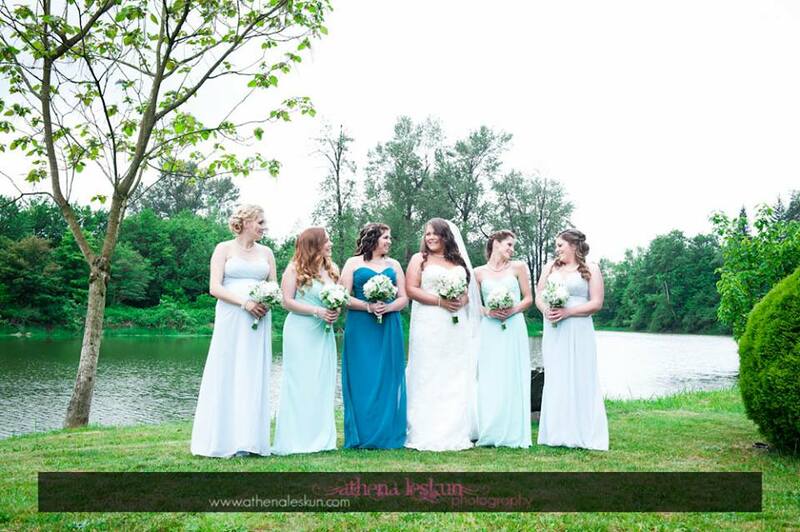 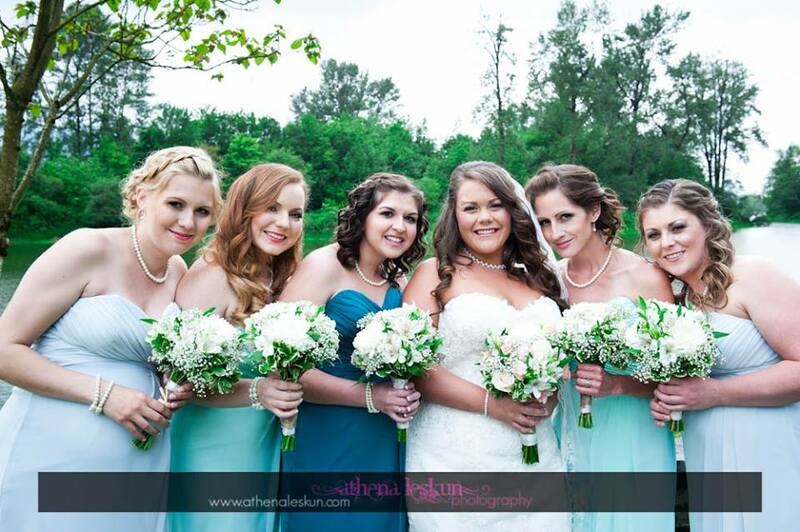 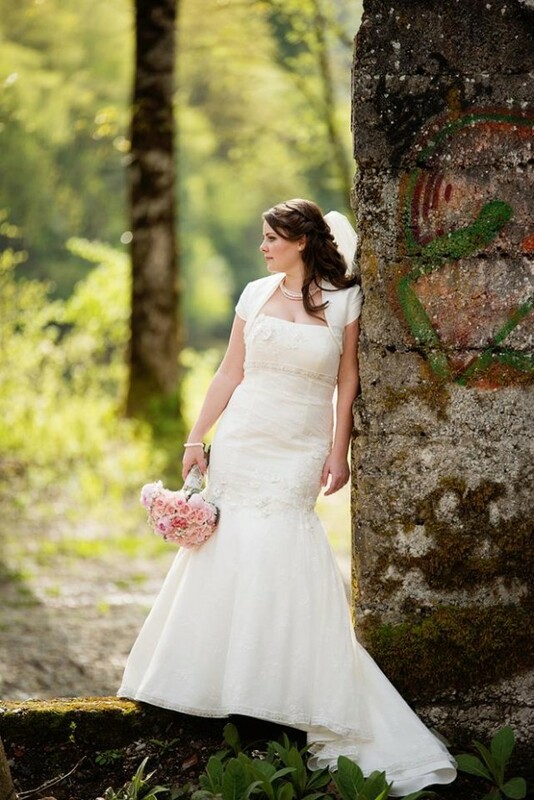 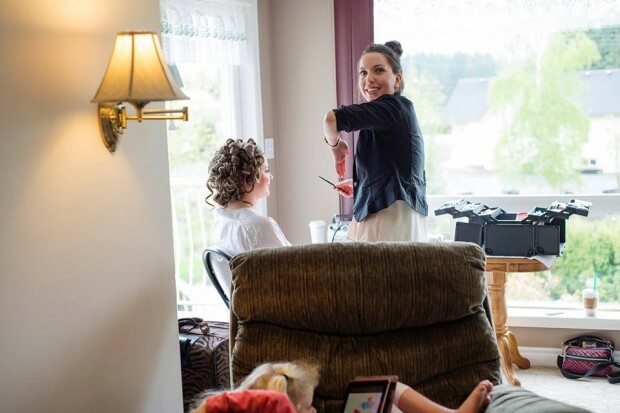 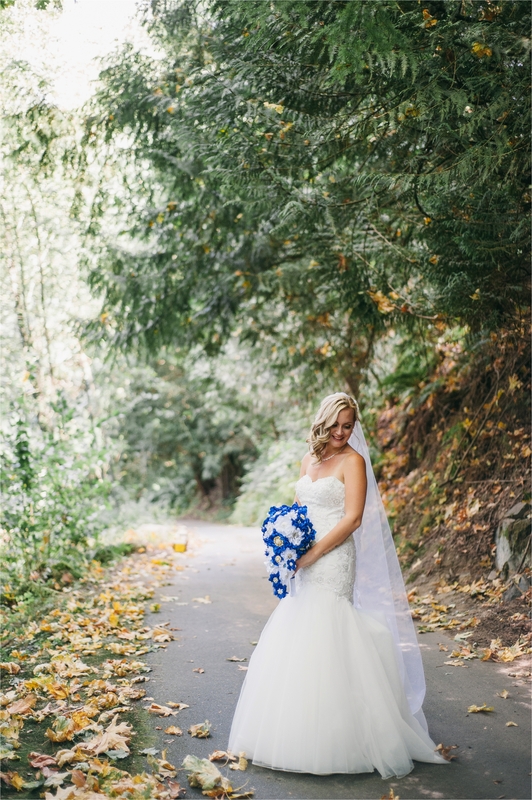 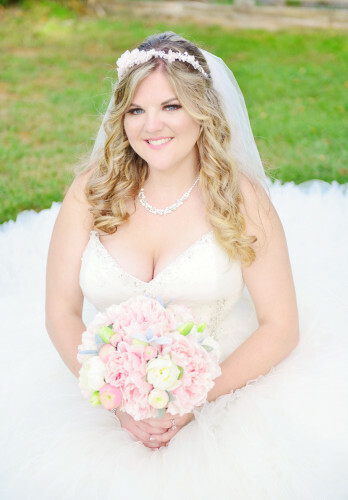 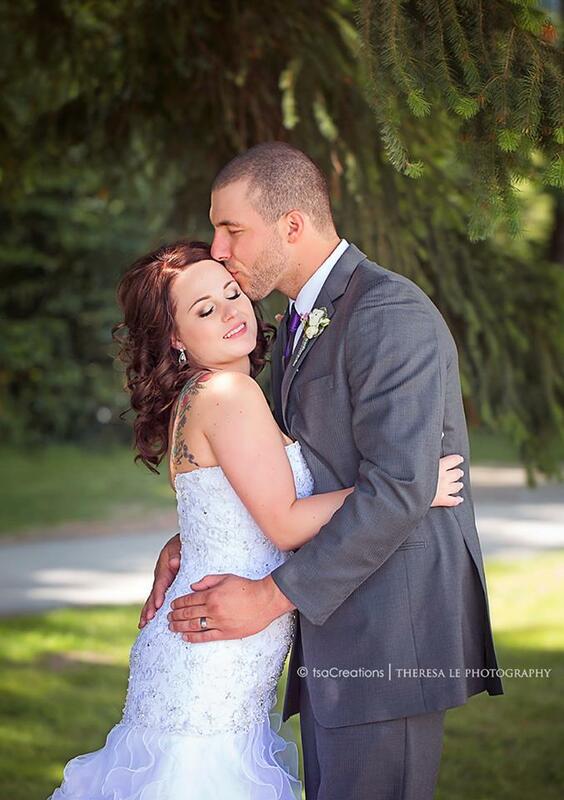 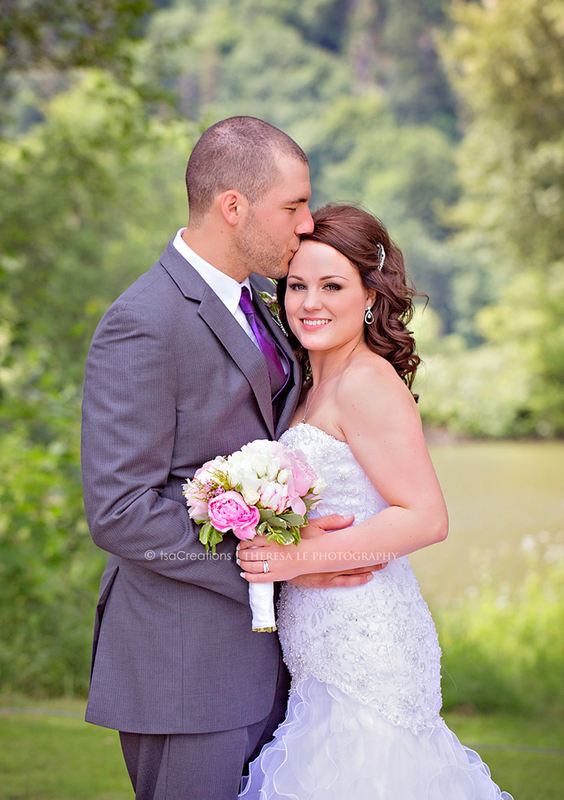 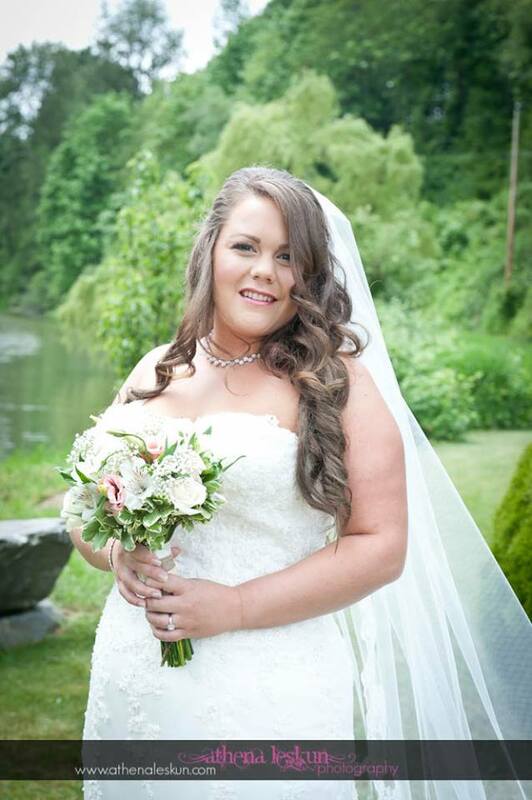 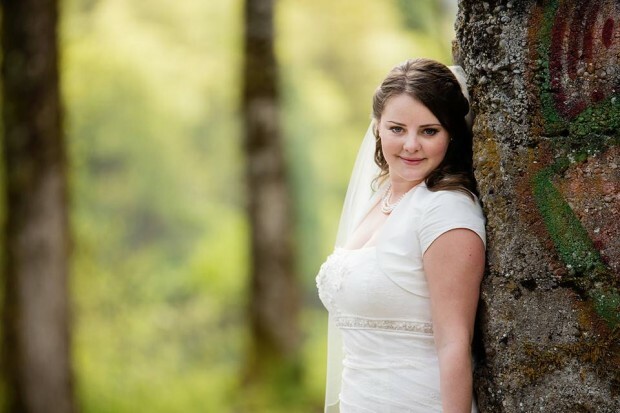 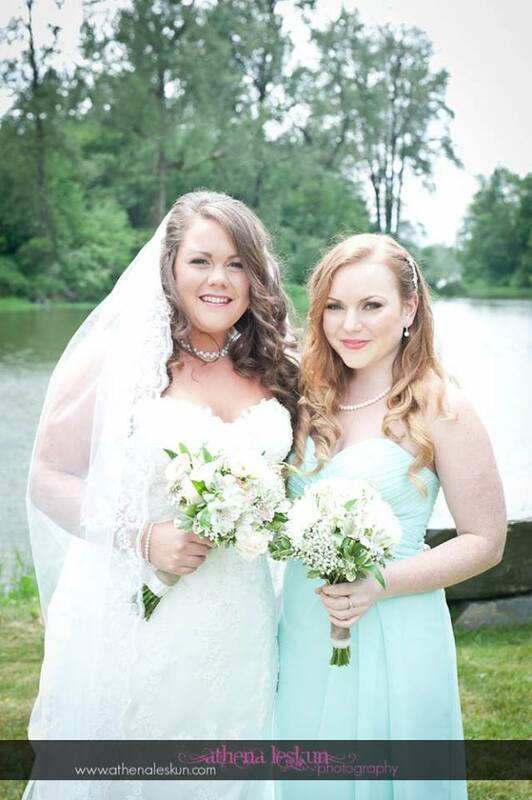 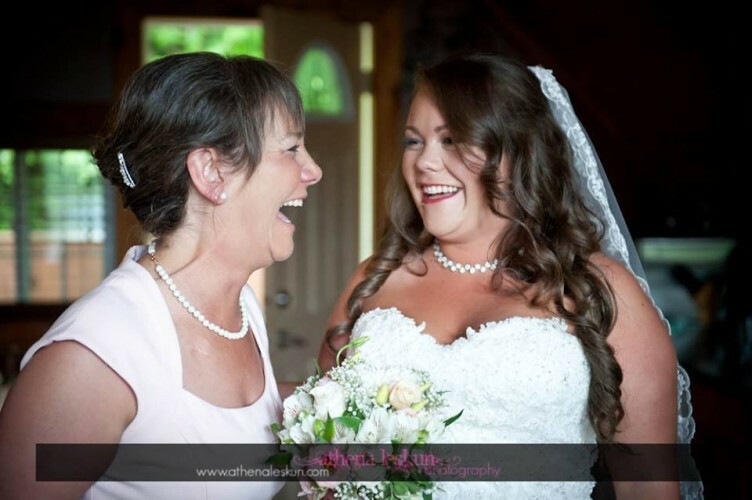 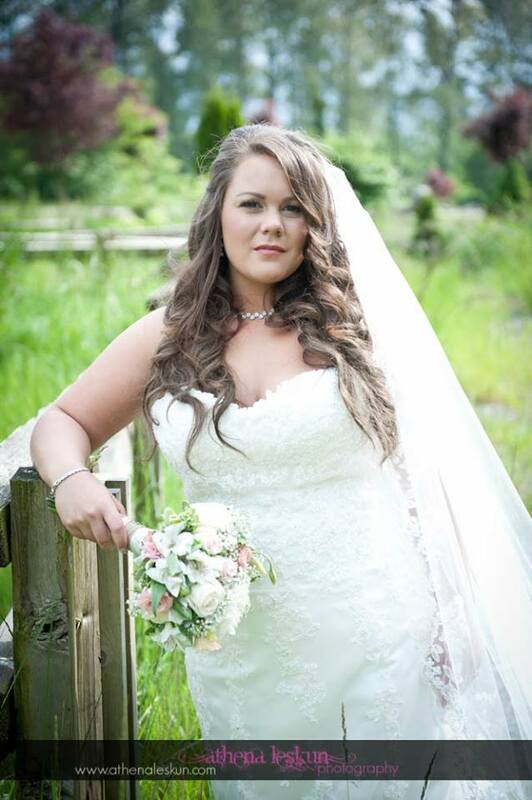 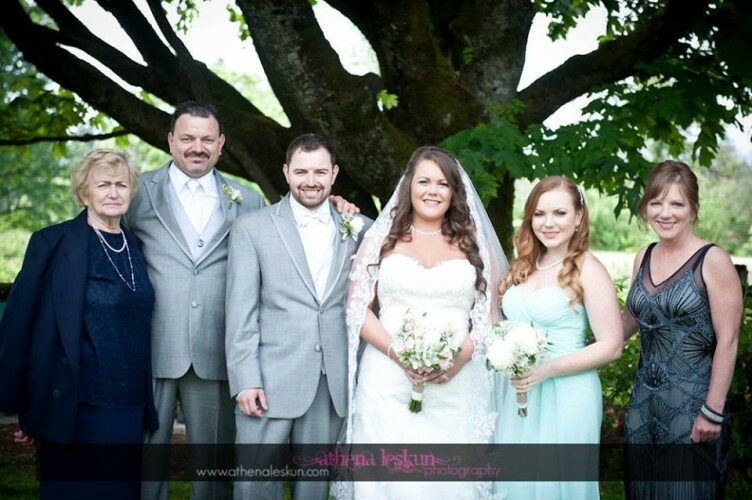 Fraser Valley Makeup had the joy of getting Kristy, her wedding party of 4, Mom’s, Aunty and Flower Girl ready for her special day. 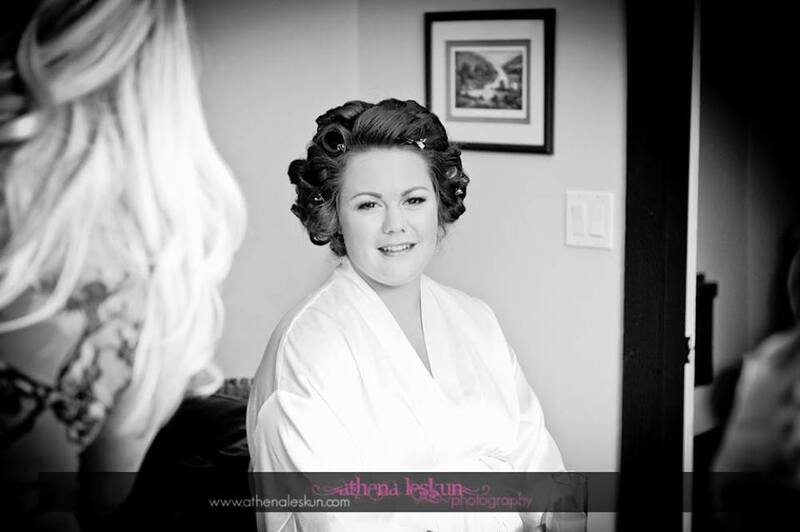 With arriving 15 min early to set up for 730 we were ready to rock by 745. 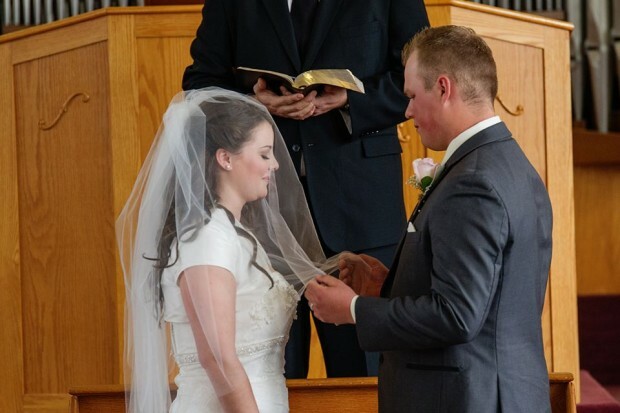 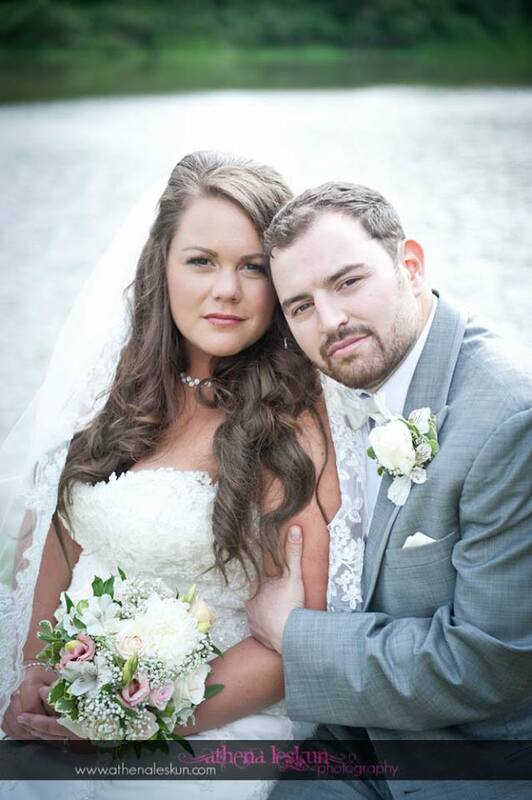 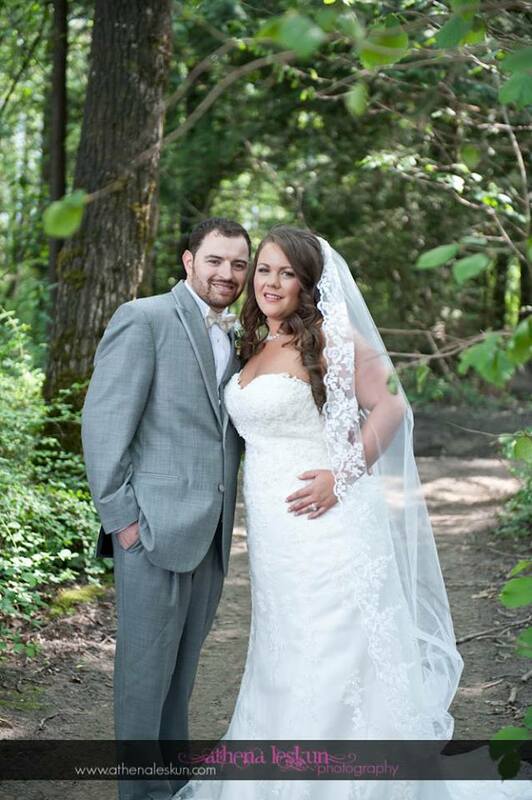 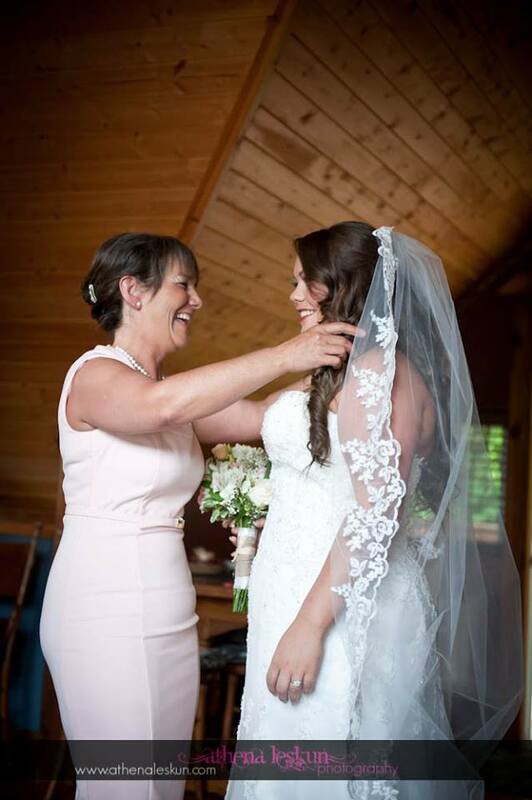 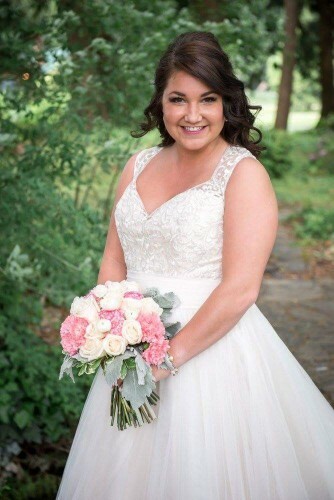 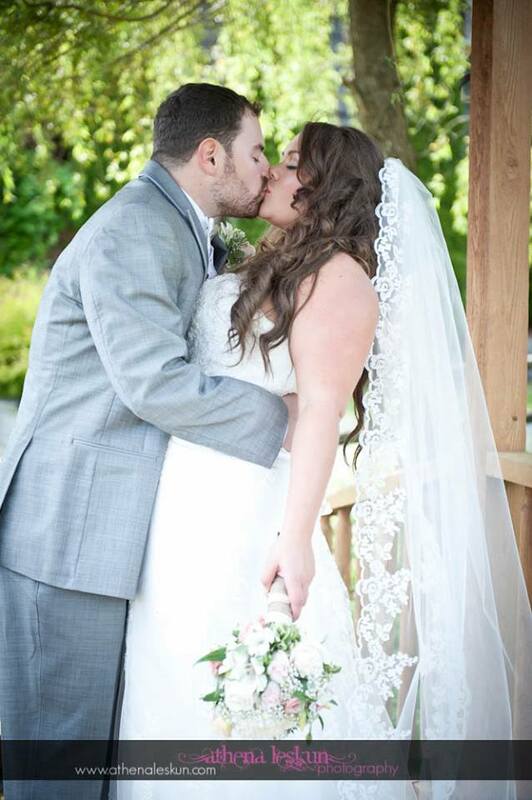 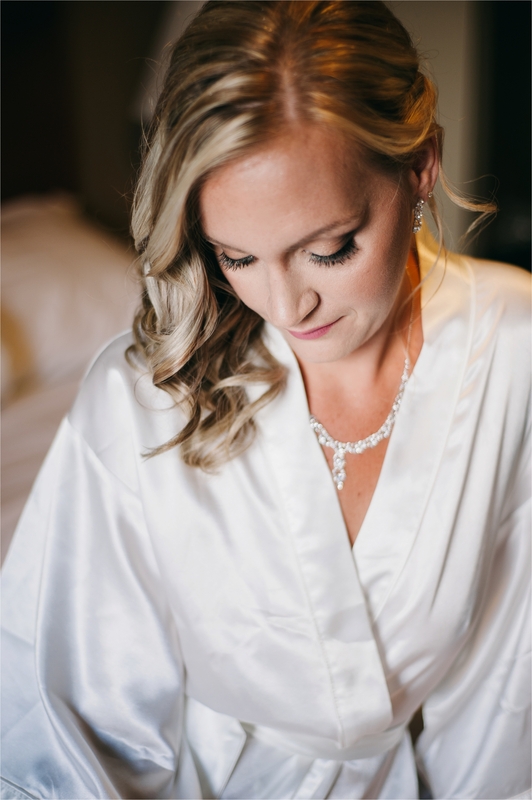 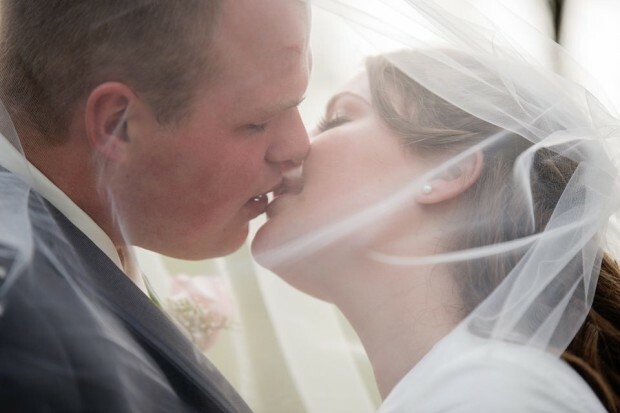 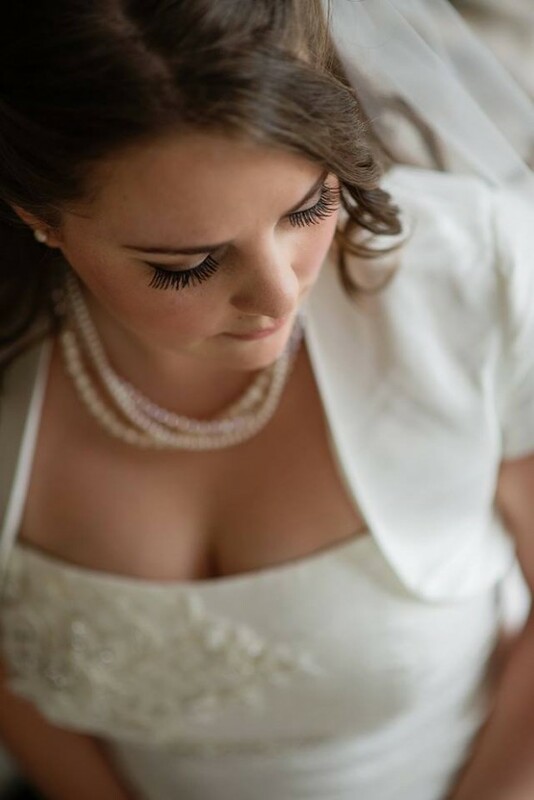 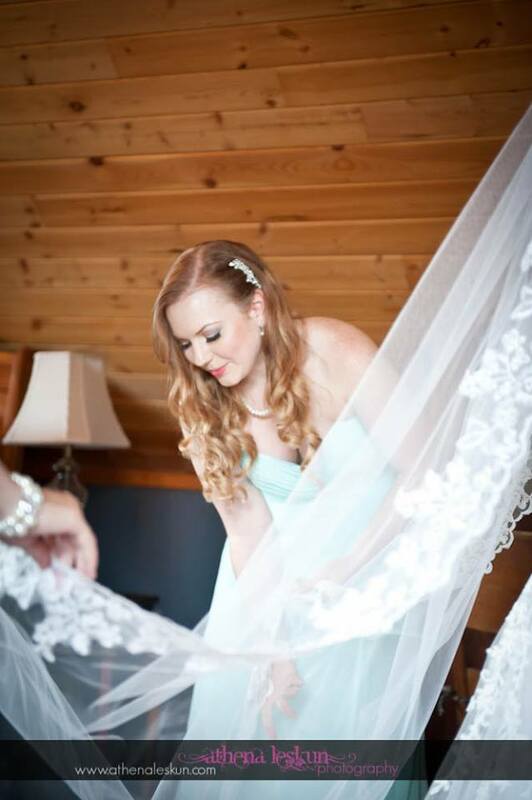 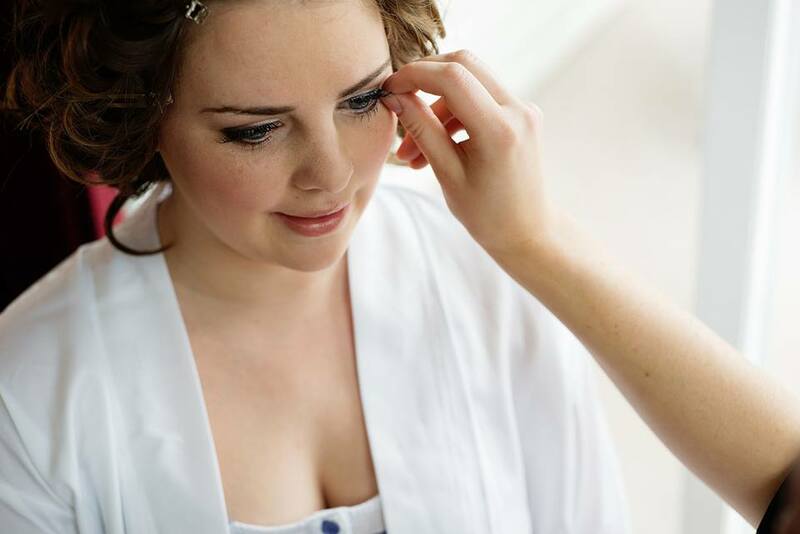 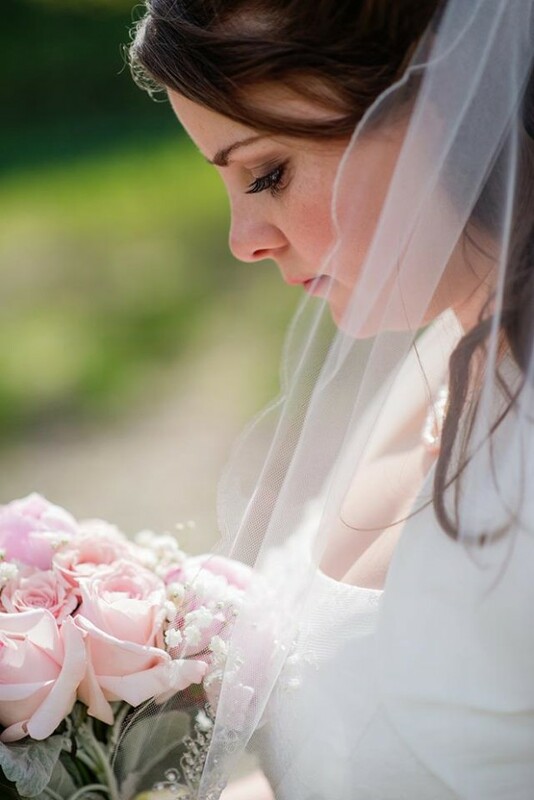 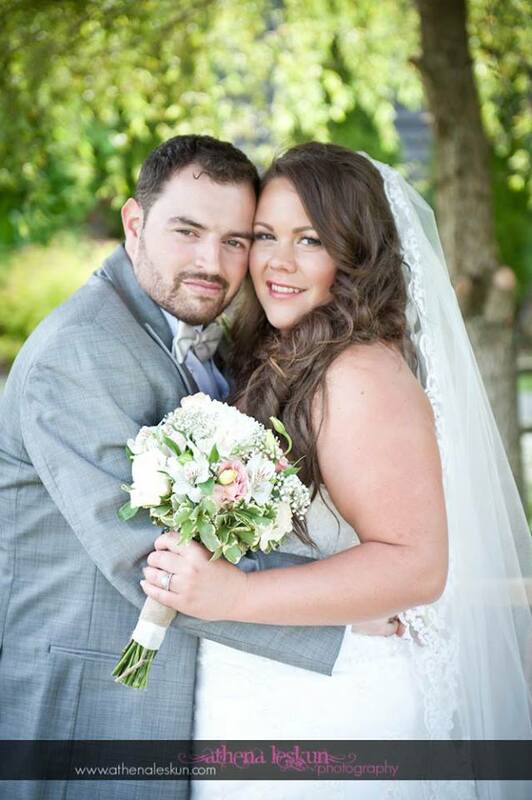 I airbrushed foundation on most of the group of 9 and applied false lashes, but Kristy and a couple others had false lash extensions which I highly suggest for brides and criers! 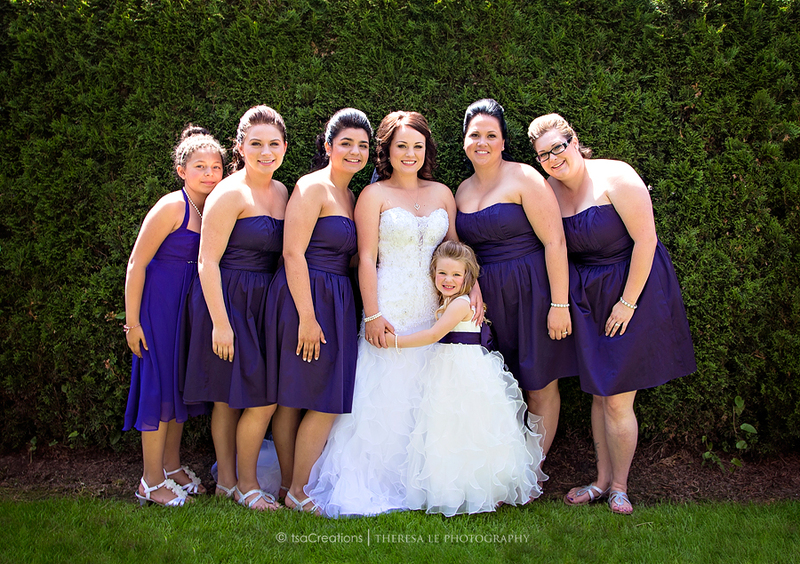 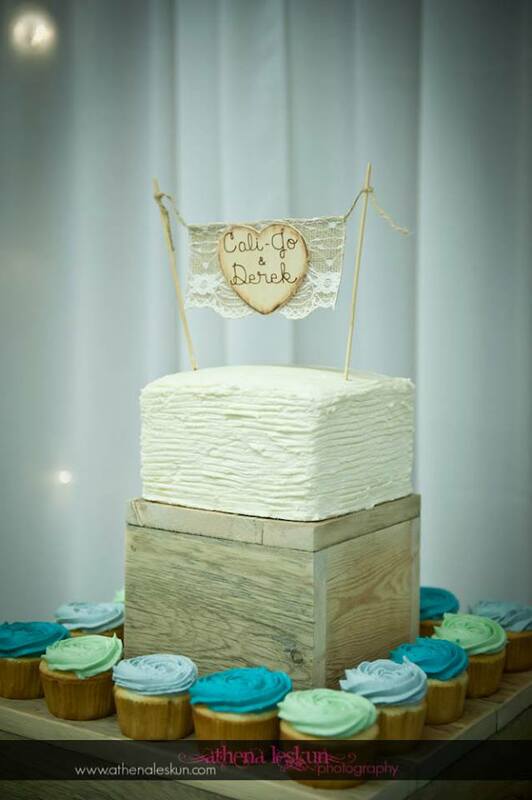 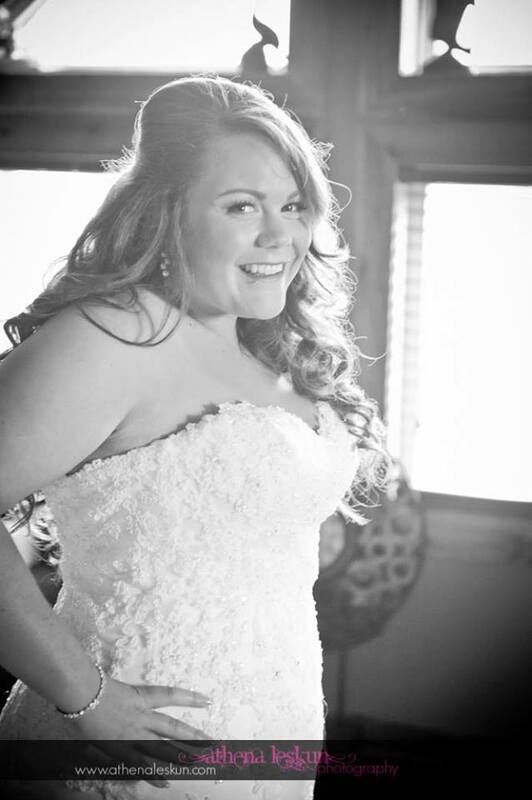 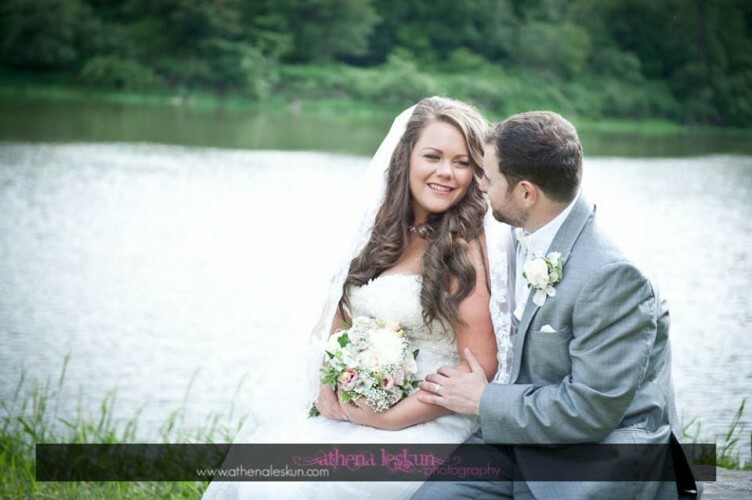 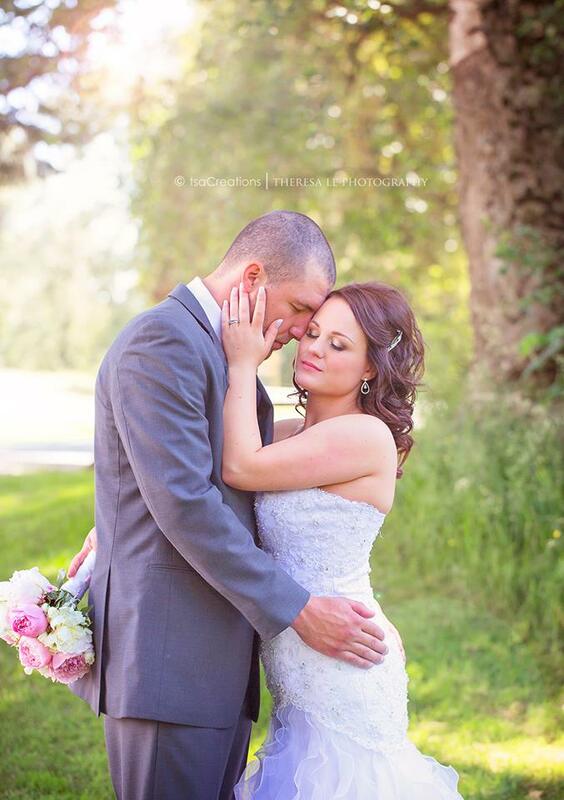 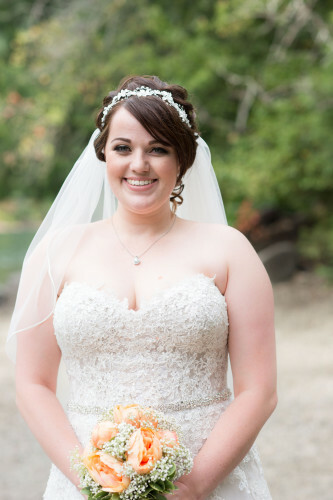 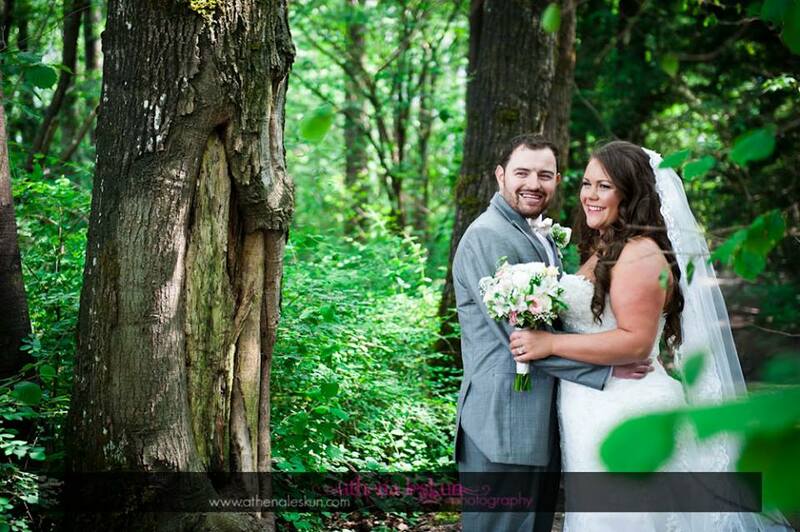 Her wedding party dresses were eggplant and her wedding dress was a beautiful bright white. 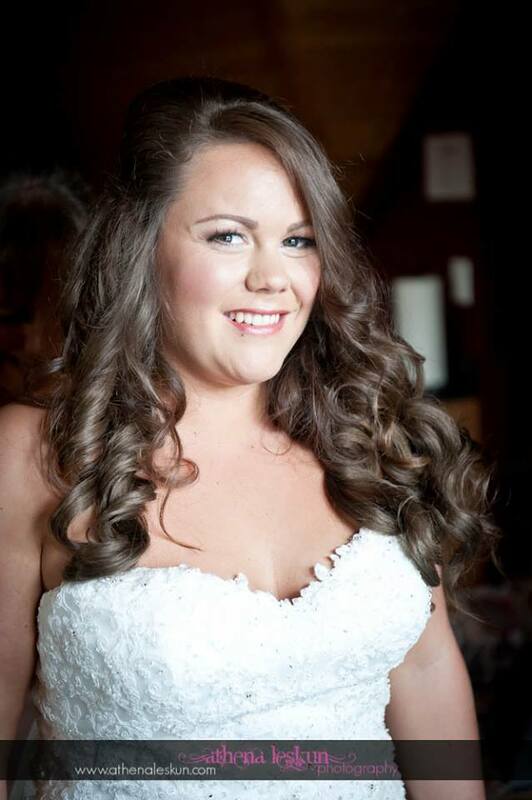 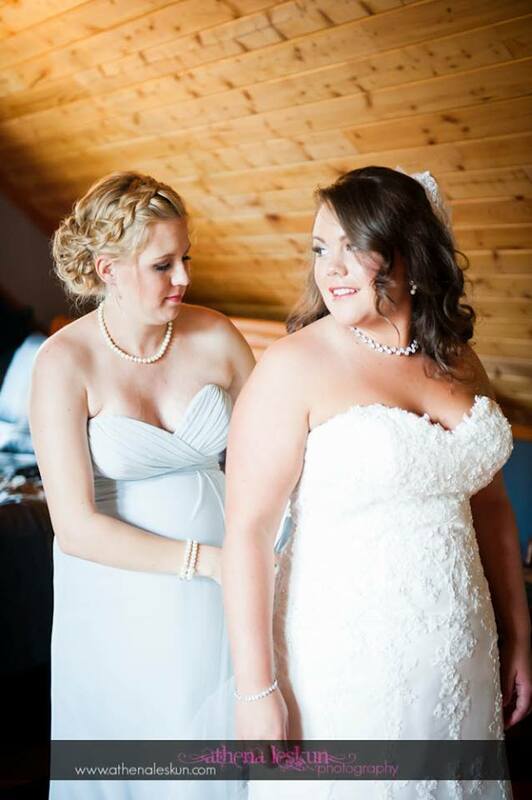 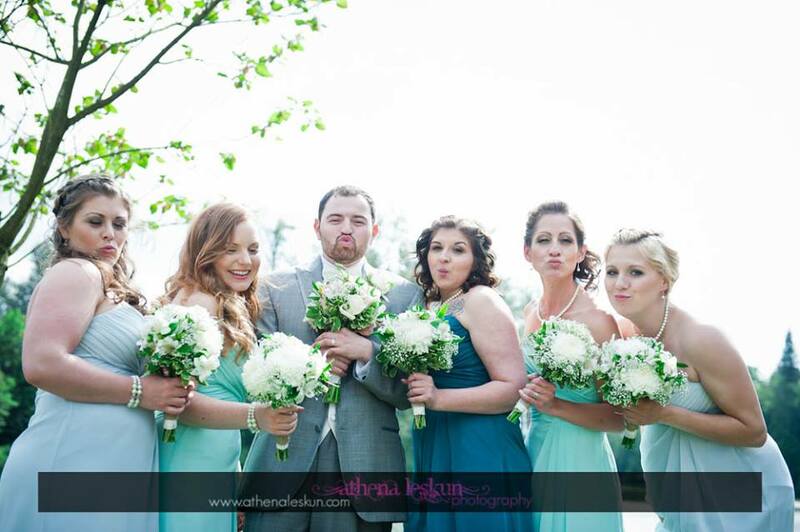 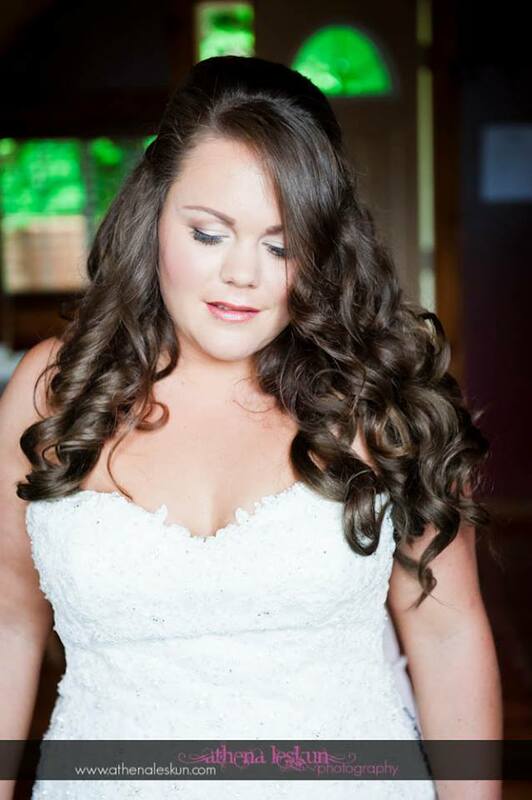 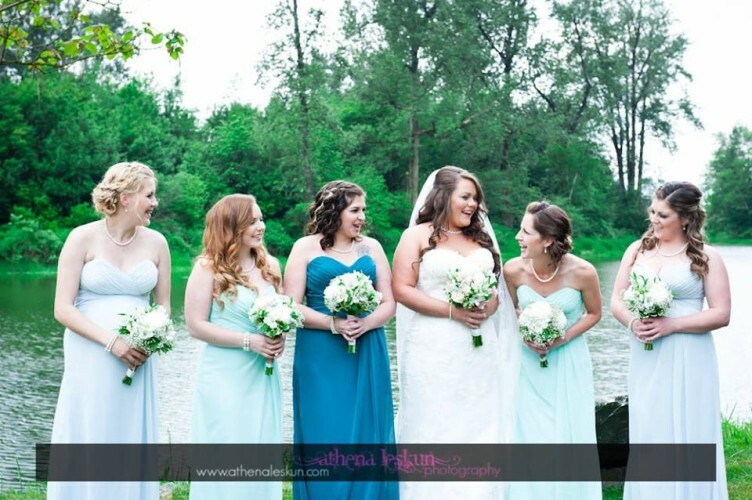 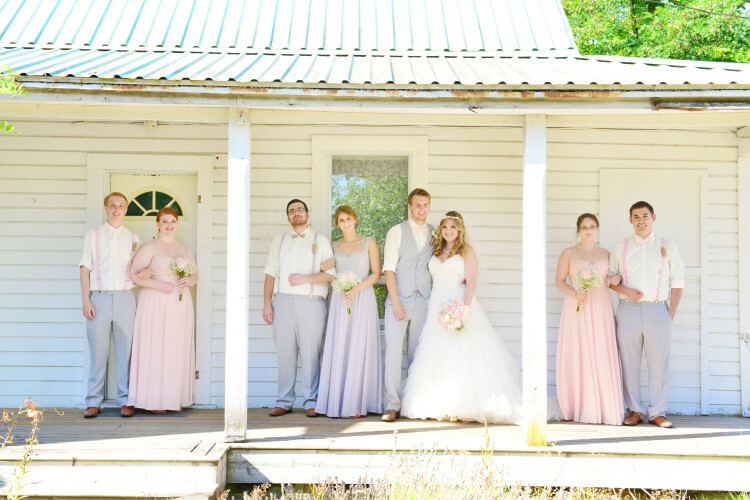 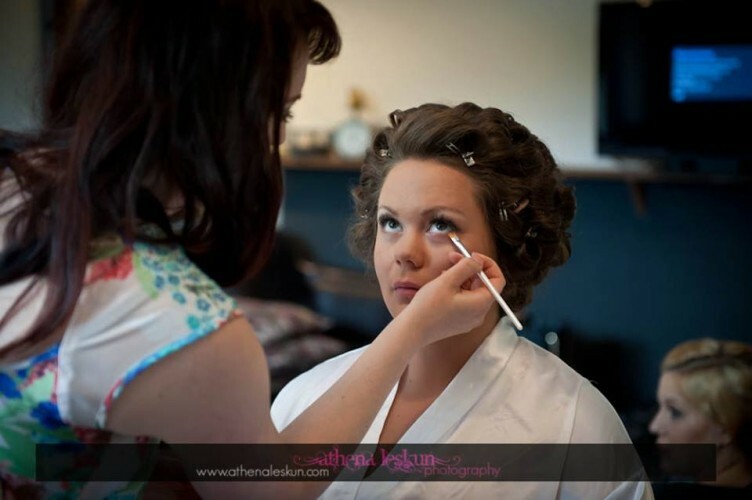 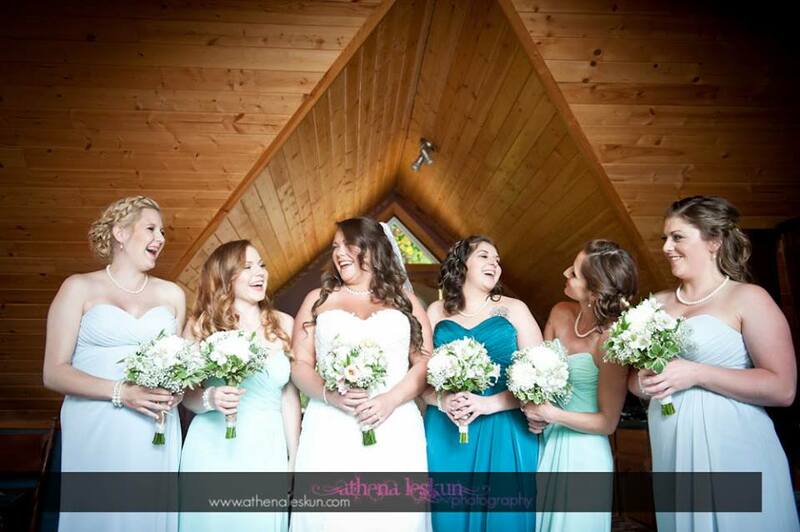 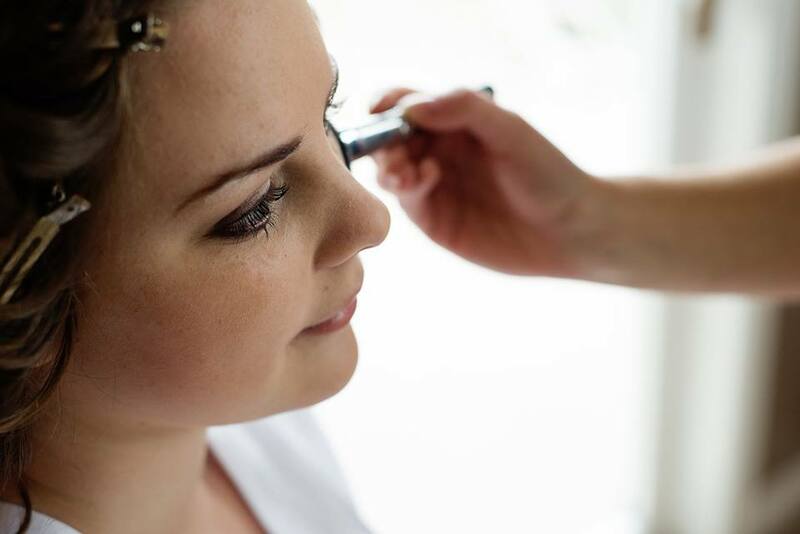 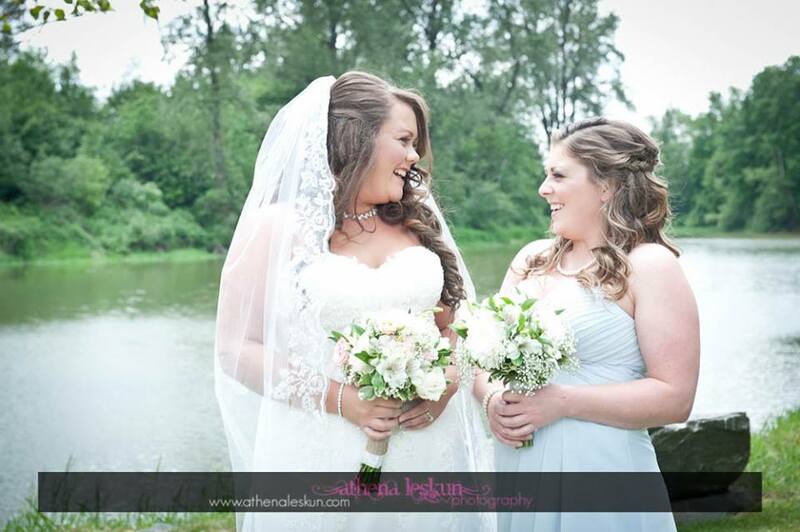 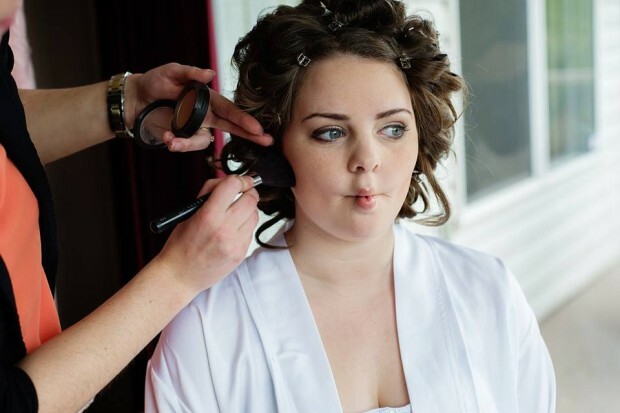 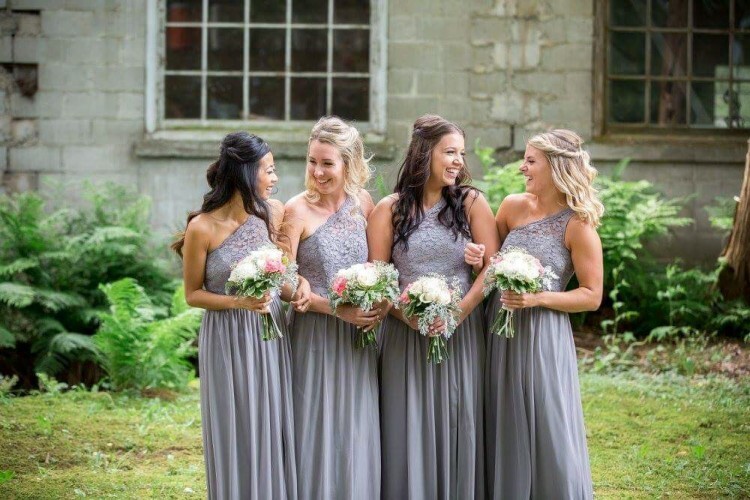 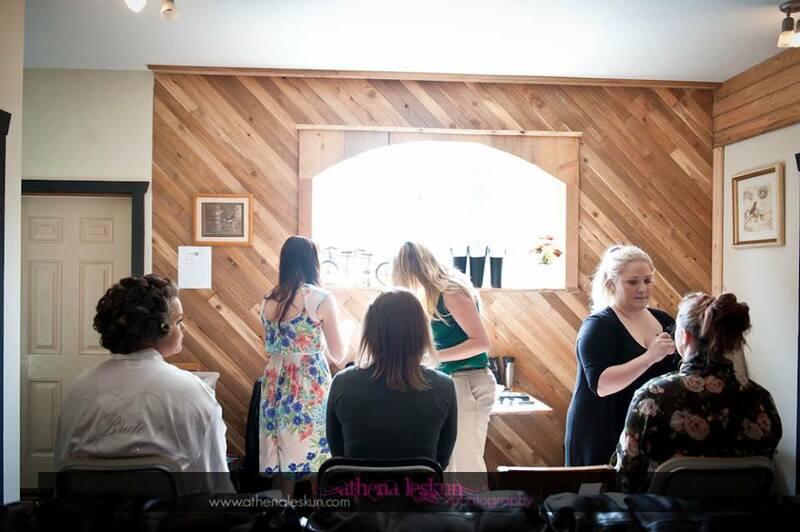 Makeup for the bridesmaids were soft, with neutral eyeshadows and pink for the lips, I loved how all the hair styles were the same for Montana Bullied Hair Stylist and her assistant. 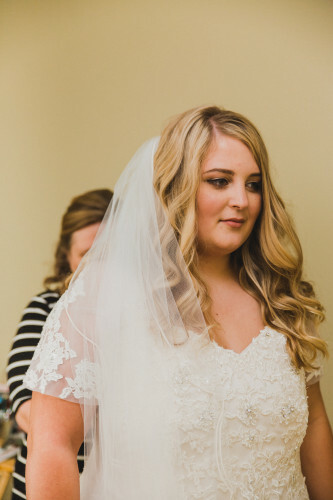 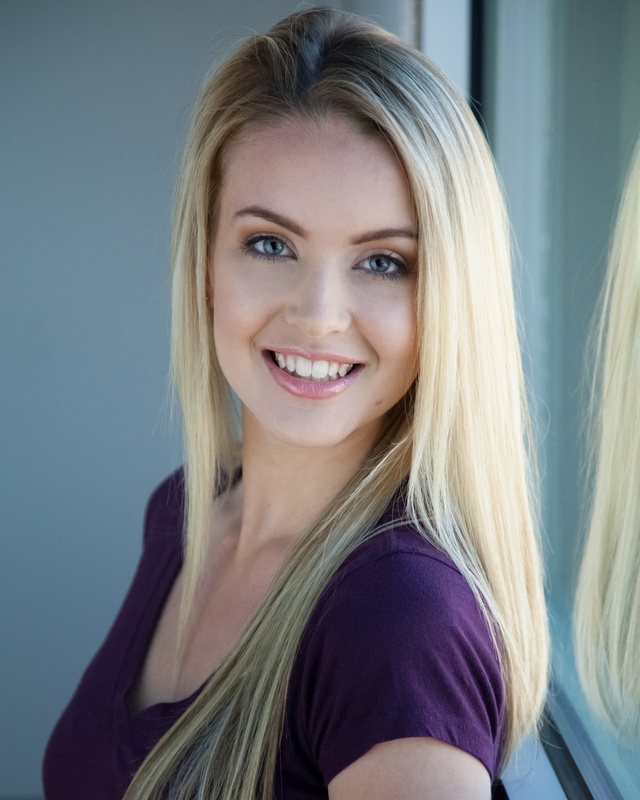 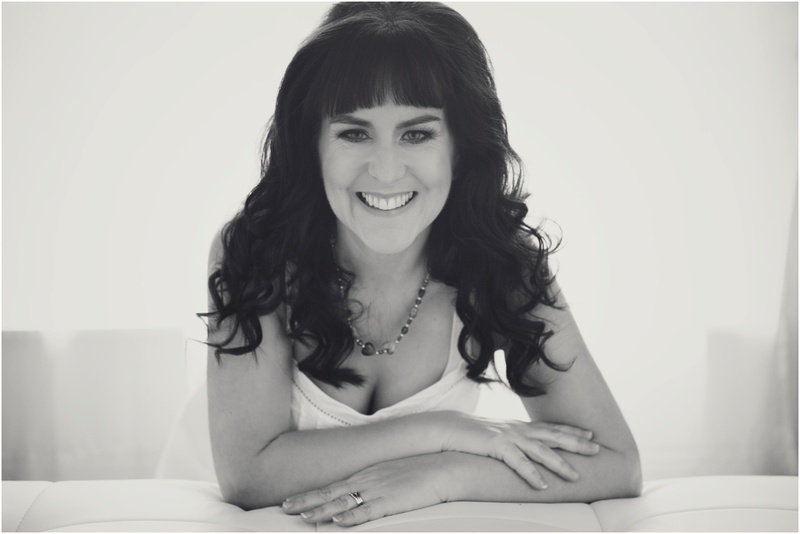 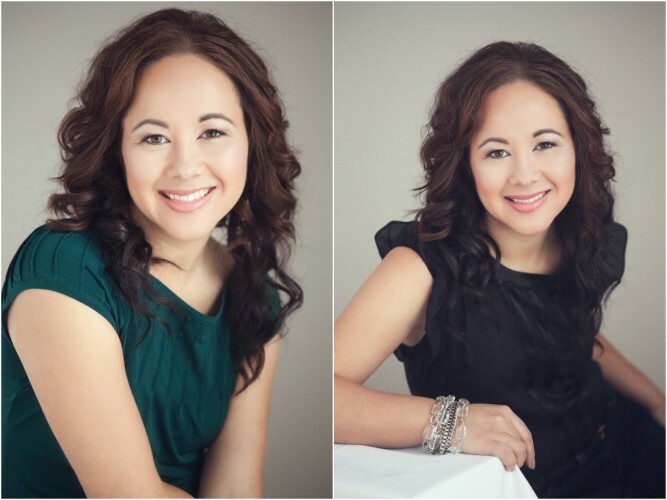 Kristy’s skin was flawless by lightly applying and layering face products to prep the skin for her airbrushed foundation. 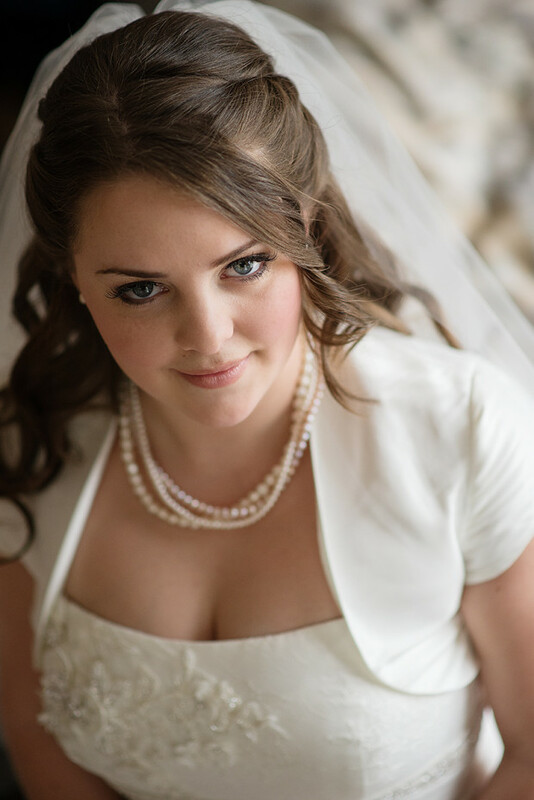 Her eyes were what stood out the most with blending of warm tones. 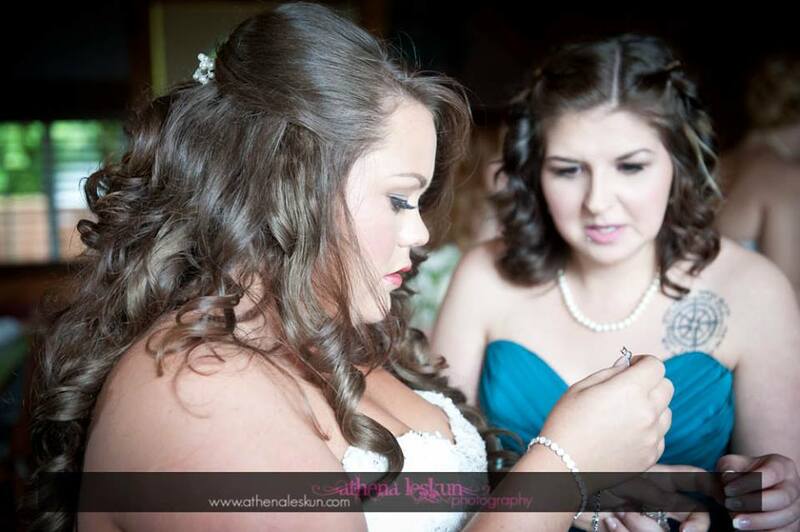 I am in-love with her makeup and she was too! 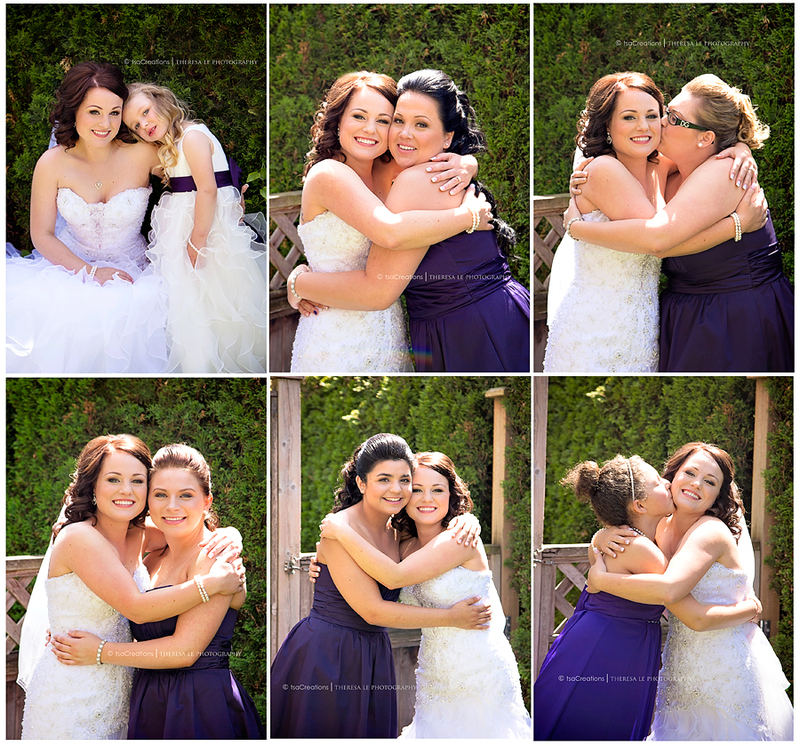 I have known Kristy from grade 10, so it was an extra special kind of day to be apart of her day!